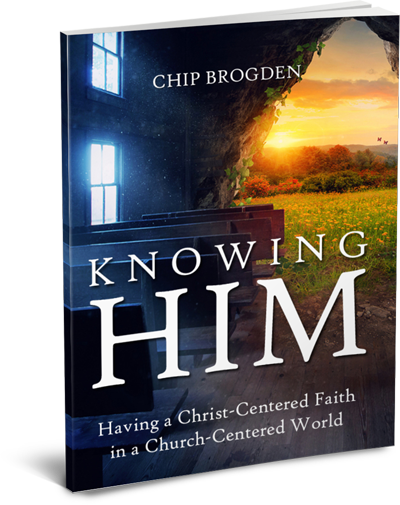 The fundamental need of a disciple of Jesus Christ is not more power, but more brokenness. The majority of Christians today are not too unlike the original twelve disciples of the Lord. We observe the Twelve arguing over who is the greatest; asking to sit on His right hand and on His left; desiring to call down fire from heaven upon those who oppose them; refusing to wash each other’s feet; protesting the need for the Lord to go the cross, even drawing the sword to defend Him in the garden. May we see that the disciples were not endued with power from on high until they were of one mind and one accord, together in one place, after the crucifixion and resurrection of the Lord Jesus Christ. While it is true that they enjoyed a measure of spiritual power during the Lord’s ministry on earth, we see how even this little taste of heavenly ability puffed them up. Jesus sent them forth and gave them authority over evil spirits. So it happened that when they returned, they exclaimed, “Lord! Even the demons are subject to us through Thy name!” Even this small accomplishment made them rejoice and exalt in themselves. Jesus tells them this little bit of success is hardly worth rejoicing over. Later on, we find the disciples rebuking others who used the Name to cast out demons. Why? Because “they are not of us.” Patiently, Jesus tells them to stop forbidding the others, because “he that is not against us is for us.” We see how quickly pride was able to gain a foothold. What a tragedy it would have been to pour out the Holy Spirit in His fullness upon the disciples in such a condition! They were thoroughly unfit and unprepared to handle such power. Why? Not because they were insincere. No doubt they were very sincere. After all, they had forsaken everything and were following the Lord. Nevertheless, they were yet unbroken. That is to say, they were following the Lord and even had a taste of spiritual power but they had no yet taken up the Cross. Over and over again Christ said they must take up the Cross, but they themselves could not understand what He meant. They even sought to prevent the Lord from taking up HIS cross. They could not be entrusted with much power because they were not sufficiently dead to themselves. The slightest accomplishment would only be grounds for foolish boasting and further arguments to see who was to be the greatest among them. Hence, they were told to tarry in Jerusalem and wait until they would be endued with power from on high. As proud men they were found arguing on many occasions, but as broken men they were finally in one mind and one accord. Thus, the Spirit came, and with the Spirit, the fullness of power. Today the call is for unity, but we need to see that unity cannot be achieved by calling people to unity. Unity is achieved when we take up the Cross and die to our minute opinions and lay down our petty arguments and prejudices. Then, and only then, will we come to one mind. A broken spirit is a peaceful spirit, and is able to abide with others. Contentious, unbroken, hard, stubborn people can never be in one accord. The sacrifices of God are a broken and contrite spirit. More of the Lord, or Less of Me? Indeed, as the Lord calls us back to the Cross to become disciples of Jesus, He intends to first humble us before empowering us. It is not a question of His supply, nor is His Life to be measured in terms of some, more, or plenty. Either the Life is present, or it is not present. The Lord’s Life is a rich Life, and it fills the believer with the ALL fullness of God. We may say of a brother or a sister, that they “really know the Lord in a powerful way” or that they are “full of life” or they have a “strong anointing.” Of course we all have different gifts and abilities as the Spirit enables us. But we should not use phraseology which implies that some brothers and sisters have more of the Lord’s Life than other brothers and sisters. We categorically reject this idea. God is no respecter of persons, and He has blessed ALL of us with “every spiritual blessing in heavenly places in Christ (Ephesians 1:3).” “For in [Christ] dwelleth all the fullness of the Godhead bodily. And ye are complete in Him, which is the head of all principality and power (Colossians 2:9,10).” “He that spared not his own Son, but delivered him up for us all, how shall he not with him also freely give us all things (Romans 8:32)?” What are these Scriptures telling us? That we are blessed with every spiritual blessing, filled with the fullness of God in Christ, and have received all things freely through Him. No single believer is any more “anointed” or powerful than any other. Please tell me, saint of God, what it is that you lack spiritually: for these Scriptures demonstrate conclusively that you are already filled with all that God has and is. How much is all? How full is full? How complete is complete? If there is a lack in our lives, let us readily admit that the lack is not on the Lord’s part, and it is not because we are inferior to other, more “powerful” believers. The question is not how to get more of the Lord, but how to release the Life which is already hidden within us, obscured behind the veil of our flesh. To put it another way, it is not more of the Lord that we need, but less of ourselves. We must be broken. Christians today are encouraged to seek more power, more anointing, and more gifts. I have stood before these precious believers and led them in the singing of choruses which cry, “More love, more power, more of You in my life.” To be sure such a desire is good and sincere. The Church is so hungry for the presence of the Lord. I have watched thousands stream forward in hopes of obtaining some fresh outpouring of spiritual power or anointing. I have both led them in the pursuit of more power and joined them in the pursuit. Day and night I searched for spiritual power that I might overcome my sins, be a witness for the Lord, and have a powerful ministry which reached thousands. But a day came when the Lord gave me revelation of Christ in me, and I in Christ. May I say, that day was like walking out of one room, entering another, and closing the door behind me. From that day forward I realized that I was complete in Christ, filled with all that God has, all that He IS. From that day forward I saw that the problem is not in obtaining more from the Lord, but in allowing Him to break me and humble me that I may no more hinder Him through my own foolishness, pride, natural wisdom, fleshly lusts, and divided heart. I needed to decrease, and He would increase in direct proportion to my decrease. If I decrease but a little, He would increase but a little. But with much decrease of me there would be much increase of Him. With less of me, there WOULD BE more of Him in my life! I will state it again: most Christians eagerly, even greedily, seek the power of the God, but they resist any thing that would seek to decrease, humble, test, or prove them. They want the power, but they refuse the weakness. Stated differently, they relish the bright sunshine, gentle breeze, and singing birds, but they curse the dark night when the coyotes howl and the rain falls. When God performs as expected all is well, but when He fails to perform as expected the countenance grows dark and the soul is depressed. And how many “Spirit-filled” believers have we met that seemed to carry about a certain power and seemed to be very spiritual while sitting in church, yet they could not control their tongue or keep a reign upon their critical spirit? Their power only gives them an occasion to glory in their flesh and compare themselves in a favorable light with others. Mark this well: any power that does not come by way of weakness will ruin people such as this. We must never seek the power of Pentecost without first tasting the suffering of the Cross. The Cross is Power disguised in Weakness. There is a saying, “Absolute power corrupts absolutely.” We can just as well say that spiritual power obtained apart from the weakness of the Cross will corrupt also. This is why the Lord leads us first to Calvary, then on to Pentecost. We dare not bypass Calvary in our haste to experience Pentecost. In spite of this spiritual truth, observe how little attention is paid to the necessity of brokenness among those who so eagerly speak of the power of God. We should be afraid of listening to anyone who teaches us about the power of God but does not teach us about the necessity of brokenness. Invariably the power, once received, will pollute the spirit and pride will set in. Weakness, humility, brokenness, suffering, pouring out our lives, taking up the Cross – this language seems to be lost among the seekers of power. How tragic that is! Yes, the Lord in us is full of might and power; yet He will not intrude upon our will and overwhelm us. Sometimes we wish He would do so. But that is not His way. He desires us to cooperate with His Spirit. When we come to Him and present ourselves as instruments to be used, He begins to mold us and shape us into suitable vessels. If we see this process as beginning and ending in a one-time act of consecration, or a single moment of surrender, or a solitary life-changing event, then we underestimate just how thorough and far-reaching this process will be. 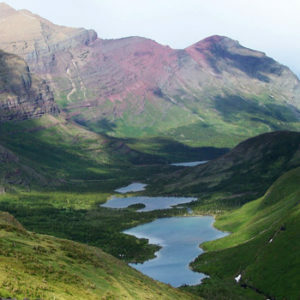 It spans many years and is marked with many mountains and valleys, gardens and deserts. The one so committed may now expect to encounter many seasons of light and darkness, sunshine and rain, heat and cold, sweetness and bitterness. At the outset one may think he will be happy, light, and carefree now that he has tasted some of the Lord’s power. He will rejoice for that season, and then the sun will set and the dark night of the soul will begin. All that was gained now seems to have been lost. The former sweetness is nowhere to be found. Everything is dreary and burdensome. When this season is accomplished, the sun rises again and the Christian rediscovers the joy of his salvation. The vows are renewed and the spirit begins to soar. Prayer and praise now pour forth like water. Everything is effortless and spontaneous. But then, strangely enough, that season passes and the dark night sets in once again. Why is this? The Lord is teaching us to live apart from our circumstances. Eventually we will learn how to live above our environment and walk by faith, not by sight. I remember times when I so felt the presence of God that I thought surely I could not sin after such an experience. Remembering my many sins and failures, I surmised that was all behind me now that I had tasted of such a heavenly sphere. Failure seemed impossible. How happy I was that now I had met the Lord in a powerful way, or had some spiritual experience, or heard some special word from the Lord, for with THIS I was sure to be victorious from here onward. How utterly distressing it was to find myself less than a week later wallowing in the same sin and defeat as before! Truly perplexed, I would struggle along until Sunday, where I would go forward to receive the prayers of the saints. Once again I was lifted up into the throne room and felt as though I could reach out and touch the Lord. Surely I need not fail again! But of course, once I left the mountaintop and descended again into the valley, I found the old lusts ever present with me, ready to reclaim me as soon as I arrived back from my latest encounter with the Lord. Perhaps this has been your experience as well. We must learn sooner rather than later that discipleship is a process of tearing down in order to build up. We cannot expect to have a single mountaintop experience with the Lord and then assume from henceforth the work of the Cross is completed in us. When we are standing with the Lord in the New Jerusalem we may lay down the Cross. Until then, we dare not entertain the thought that we have already been made perfect. We must deny ourselves and take up the Cross daily. So if there is a seeming difference in the “level” of anointing or power or spirituality among believers it is definitely not because some have more of the Lord than others. Let this be an encouragement to you. Indeed, Christ is not divided, and of His fullness we all share. We are all baptized into the same Spirit. The difference is some saints are more broken than others. Some have passed through many seasons of tearing down and building up, while some after many years of experience are still resisting the Lord and refusing to lay down their lives. Some have recognized God’s dealings and have submitted to them, while others have misunderstood or been totally ignorant of God’s dealings with them. The ones who have been sufficiently broken eventually manifest very little of their self, and very much of Christ. God must work long and hard with us to bring us to this place, but what a glorious day it is when we are able to bow our heads and finally surrender everything. What joy it is to look back over all that the Lord has led us through and realize His purpose in both the good times and the bad times, to behold the goodness and the severity of God in His dealings with us. 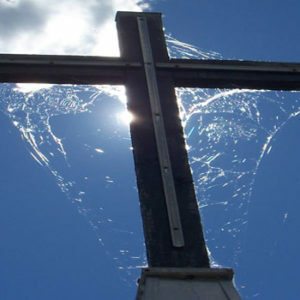 The Cross represents the principle of brokenness in the disciple of the Lord Jesus. Let us look to the Scriptures for some examples of brokenness. The night He was betrayed, we are told that the Lord Jesus “took bread, and gave thanks, and brake it, and gave unto them, saying, This is my body which is given for you: this do in remembrance of me ( Luke 22:19).” Many times the Lord has told the disciples and the crowds, “I am the Bread of Life.” He commanded them to eat His flesh and drink His blood. This is one of my favorite passages of Scripture, and one which I refer to constantly when discussing this subject. Many turned aside and no longer followed the Lord after He said this. How can this man give us His flesh to eat? Because He is the Bread of Life. 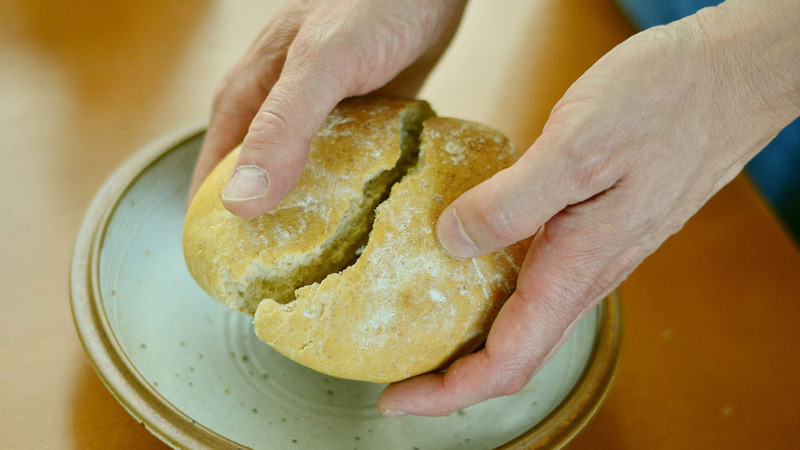 After the blessing, Jesus broke the bread. The Passover ceremony also calls for a portion of the bread to be wrapped in a napkin and hidden, to be retrieved later. Thus, the Lord is showing us His crucifixion and resurrection in the blessing, the breaking, and the “burying” of the bread. He is the Bread which is come down from heaven, broken, buried, and brought forth from the earth. Our traditional communion wafer destroys this beautiful parable. Indeed, our Lord is One Loaf which is broken, that we may all share of His Life. Hallelujah! This illustrates the need for brokenness that Life may issue forth. Again, for an example of brokenness, let us look to the Lord’s Word to us in His final hours on earth: “And Jesus answered them, saying, The hour is come, that the Son of man should be glorified. Verily, verily, I say unto you, Except a grain of wheat fall into the ground and die, it abideth alone: but if it die, it bringeth forth much fruit. He that loveth his life shall lose it; and he that hateth his life in this world shall keep it unto life eternal (John 12:23-25).” How remarkable are the Lord’s words here. He begins by saying it is time for Him to be glorified. When we think of the Lord being glorified, we think of His baptism when the Spirit descended upon Him as a dove and the Voice of God declared Him to be His Son. Or, we think of the mountain when His appearance became dazzling white and the brightness of His Glory was shown to Peter, James, and John. How strange then that Jesus talks of being glorified by a cruel death. It seems contrary to what we have been led to believe thus far. But the Lord explains why His death is necessary. When the Lord Jesus humbled Himself and accepted the limitations of a human body, He was only able to be in one place at a time. For all the people He did heal, there were many millions who remained sick. He simply could not, as a Man, be everywhere at once. He was limited by time and space. In one place He seems frustrated with a holy frustration: “I have come to bring a fire to the earth, and how I wish it were blazing already! There is a baptism I must still receive, and what constraint I am under until it is completed (Luke 12:49,50, New Jerusalem Bible)!” See how the Lord is restrained, and seems to be aching to come forth. He is like the grain of wheat, a seed surrounded by the outer shell of His physical body. Pick up an acorn. What are you holding in your hand? A seed, yes. But what else? A tree? Yes, once the seed is buried it will one day produce a tree. But what else are you holding in your hand, besides a tree? A forest! Because, from that seed will come a tree, and from that tree will come many more seeds, and from those seeds will come many more trees, and so on. So what you hold in your hand is not a mere seed, but a forest. Jesus says the Kingdom of God is “as if a man should cast seed into the ground; And should sleep, and rise night and day, and the seed should spring and grow up, he knoweth not how. For the earth bringeth forth fruit of herself; first the blade, then the ear, after that the full corn in the ear (Mark 4:26-28).” Dear friend, this is glorious! We don’t have to do anything with the seed but cast it into the ground and forget about it! 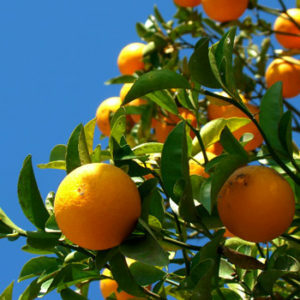 “For the earth bringeth forth fruit of herself.” God will bring forth the fruit if we will bury the seed! Do you want to be fruitful? Humble yourself! Cast yourself into the ground and allow yourself to be broken that the fruits may come forth. Now Jesus says if the seed will not fall to the earth and die, it will abide alone. Take the seed home and place it on your desk. Will it become a forest? Of course not. Why? That forest is inside the shell. It cannot come forth on its own. You see, the potential is there, for there is life in the seed. But the inner life is entombed by an outer shell. How do we get that which is in the shell to come out of the shell? We must bury the seed in the ground – the seed must “die” and give up being a seed. The shell must be broken and that which is within the shell may then come forth. When it dies, it brings forth “much fruit”. You see, the issue is not the ability of the Life to spring forth, but the brokenness of the vessel which holds the Life captive! It is not that we need more power, but that we need more brokenness. When we are properly broken we will find the indwelling Christ is more than sufficient. “And being in Bethany in the house of Simon the leper, as [Jesus] sat at meat, there came a woman having an alabaster box of ointment of spikenard very precious; and she brake the box, and poured it on his head (Mark 14:3).” The ointment here represents Anointing, or Life. I use the terms synonymously. It was very precious, but it was contained within an alabaster box. Albaster is a kind of stone used to make vases. But the same stone was also used to make caskets! Again, we have Life encased within Death. The inward release is contingent upon the outward breaking. How many of us cherish the vessel more than the ointment? Friends, the vessel is nothing. Let us look beyond the vessels and instruments of the Lord and only note if the precious ointment is coming forth freely or is inhibited. The vessel houses the Life and must be broken. If we wish to be containers of this heavenly ointment, let us ask the Lord to break us that the hidden fragrance and anointing may come forth. “And the veil of the temple was rent in twain from the top to the bottom (Mark 15:38).” The veil of the Temple was a thick curtain which separated the Holy of Holies from the rest of the temple. 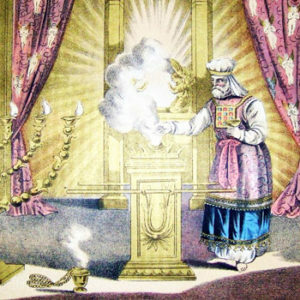 What is special about the Holy of Holies? It is where the presence of God dwelt. No one could step into the presence, or even look behind the curtain, without falling over dead. Only the high priest could enter, and then only once a year. A rope was tied around his ankle with which the other priests could pull him out from behind the curtain in the event of his death. But when the Lord Jesus died on the cross, the thick curtain which stood as a barrier between the presence of God and the people was split down the middle from top to bottom. Why top to bottom? To demonstrate that it was God Himself who split the veil. Had the veil been torn from bottom to top, it could perhaps be explained away that man was responsible. To tear the veil from top to bottom is indeed a miracle. What does it signify? Of course it means the death of Christ opened the way for us to approach the throne of grace without fear of death (Hebrews 10:19,20). That is the obvious meaning. Yet we know also that the three sections of the temple – the Holy of Holies, the Holy Place, and the Outer Court – represent the spirit, soul, and body of man. The Holy of Holies is the spirit of man where Christ dwells. In between the inner man and the outer man stands a thick veil. We stand by our assertion that each believer is complete and contains the entire fullness of God; but we also acknowledge that the veil of the flesh must be rent in two in order for that fullness to come forth. How often we meet a brother or a sister and we sense their preciousness, but there is something that prevents the Life from coming forth as it should. That “something” is the fleshly veil which remains intact. We can only hope that they will allow the Lord to rend and break them so the Life can come forth. Similarly, when we sense a lack, we should not pray for more of the Lord, or seek more power, as though the indwelling Christ is not sufficient. Instead, we may ask the Lord to break us and take away the veil that is keeping the Life from coming forth. Now we have before us four examples from the Scriptures of what it means to be broken, and why it is necessary: the bread, the grain of wheat, the alabaster box, and the temple veil. There is yet another point to be made from these four examples. 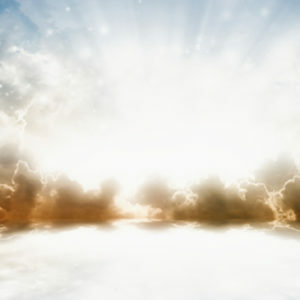 In each instance, the Lord mentions His death and resurrection. 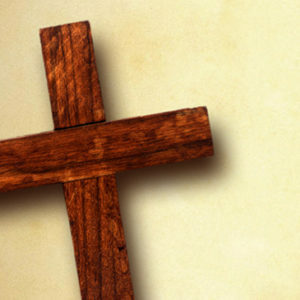 The principle of the Cross is central to each illustration. The blessing and breaking of the bread speaks of His death and resurrection; the grain of wheat speaks of His coming glorification through His substitutionary death; the alabaster box is connected to the Lord’s anointing for burial (Mark 14:8); and the temple veil is rent at the moment of His death on the Cross. These are not mere coincidences. The Lord has continually called us to deny ourselves, take up the Cross, and follow Him. We are not left to wonder what it means to take up the Cross, or what God hopes to accomplish in us when we do so. In these examples He is showing us what that means, and why it must be so. What is He saying? That we must be broken before we can bring forth Life. 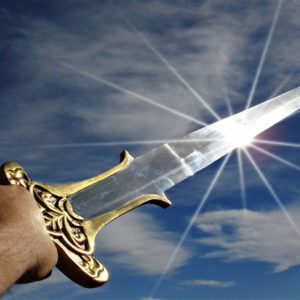 That to save our life we must give up our life, lay down on the altar, and offer ourselves as a living sacrifice to God. Only then may we truly live for God. Only then may we be vessels through which Life may flow. One time the disciples asked the Lord, “Increase our faith (Luke 17:5).” Do you remember how the Lord responded to this request? It is a very strange response. Today we ask the Lord to increase our faith, increase our patience, increase our love, increase our self-control, give us more. Strangely enough, it seems as though these repeated requests often go unanswered. We are still asking for “more”, and it has been many years since we first asked. It is the same with the disciples. They ask the Lord to increase their faith. Instead of giving them more faith, He basically tells them they don’t need more faith, that they have enough already. How do you like that response? He goes on to explain that all we have need of is in Christ, and Christ is in us. Therefore, we do not need to seek God for a little patience here, a little faith there. Instead, we must see that we are complete in Christ, and ask God to humble us and break us, that Christ would be my Patience, and that Christ would be my Faith, and that Christ would be my Righteousness, etc. We have every spiritual blessing already in Christ, but that Life is for the most part trapped within the alabaster box. We love the alabaster box more than the ointment, but we cannot have the ointment without breaking the vessel. Dear friend, are you an enclosed vessel, or a broken one? Is Christ bound up and restrained within your heart, or is your heart free and unfettered that He may come forth through you? Have you expressed your willingness to die to yourself that you may bring forth much fruit, or are you like the seed which refuses to die and therefore abides alone? Has the Presence been released in you and through you, or does the veil need to be torn in two? Good morning Brother. Thank you for boldness to speak what the Spirit of the Lord is saying to His Body. Lord, give us ears to hear and hearts to obey! We must repent! We need His grace; we require it! Oh God forbid that You would reject us because of pride! Amen so true God gives Grace to the Humble, we have no right to be proud because the Christ in us is not proud. May the Lord truly open our ears to hear Him and see things He wants us to see. Thank you brother Chip for been an encouragement to so many of us who are out of the Church system and have a hunger for a beautiful relationship with Him. Lord prepare us for the day of your return for we do not want to be busy with things of this world but we want to be your perfect bride, you who began a good work in us will bring it to Completion. To be submissive to God’s mighty hand, to be willing to be made lowly, is to take the God-honoring way that gives Him the ground to exalt us in His time. To be willing to be made low by God’s humbling hand in His discipline is a prerequisite to being made high by God’s exalting hand in His glorification. All I will have to offer another is Christ, when there is nothing left of me. I cannot give what my vessel does not contain. My need of Christ in my brokeness has saved me from myself. When I am in the deepest trials, it is only then that I realize what nature I still have that needs to be put to death. But glory to God who alone knows how to create in me a great need for Him. In my brokenness, I am changed from glory to glory , but even I do not reconize this, but only see My Saviour Jesus Christ. It is not the vessel that will receive the glory, but what’ s in the vessel. And that will not matter that I am honored, but only that what’s in my vessel will be honored, because I am dead. I appreciate your insights and the way you write so very much, Chip. The Lord has truly anointed you and I believe that the Holy Spirit is working in and through you and those who work with you to help bring about a very much needed new paradigm and movement that the Lord is calling many people to join. The short piece on Infinite Supply today is really right on and the full article is as articulate and Spirit-inspired as usual. May the Lord continue to bless and keep you and yours. Life is a journey from brokenness to wholeness. pulpit & from every rooftop across the Nations of this world…Oh, LORD, bring the breaking in me…Thank you Jesus & God bless you brother Chip! Dear Pastor, i really appreciate your work on THE NEED FOR BROKENEES i am a pastor in Nigeria West Africa,i will love to have a copy,how do i get one?.expecting your urgent response.thank you. Am blessed. Thank you for yielding. Thank you so much for this wonderful piece, I am really blessed. Please send me a copy of this teaching and any other one that will help my ministry. I am a pastor in Nigeria, West Africa. No face-face fellowship With other believers for over 10 years. I have had such a desire for the fulfillment of John 17:3 for longer than that. I stumbled upon the website many years ago after reading and listening to T Austin Sparks. I have been broken by my inability to save mysel. Reading Scripture was there difficult because all I saw was law, started saving my sell only to find myself like the prodigal son who finally came to his senses. This cycle has been continuing and the situation and circumstances that have been divinely? Ordered by my Lord are great of a burden. What’s worse (or better?) Is that I cannot control the couple that moved them small room inside my garage. Long story short, there is nothing but contention, frustration too far out of my comfort zone. Although I’m going through the hardest 13 months of my entire life I’ve also seen the Lord do what I could never been able to do myself. It’s hard, painful and ugly. Often faced with doubts, salvation, giving in to the flesh just to get out of ME and then back to the Lord again and again. Vile thoughts and words escape my lips while praying or meditating or ministering to the Lord. In a nutshell, it’s like the devil himself is taking over and now I’m starting to suffer the fear of being handed over to Satan for the destruction of my flesh. I’m smoking more and more and there is been very little peace in my heart and mind which rarely happens. Is this the cross, or the fruit of being unequally yoked with unbelievers. Lord knows. P.S. On further reflection, it seems like I’m being crucified with Christ. PSALM 22 has been on my heart since I just posted my previous comment 30 minutes ago. Need you say more? No now we need to put this stuff into action.How? Well we have read it,do we believe it? OK yes I believe you have spoken the truth.Now I want to experience it.So how do I do that? I have been crucified and the life I am living is in participation with Christ,who is living within me and I rely upon His faithfulness unto His Father.So I now say to Christ,do with me as you wish,I am yours for the pickin,and let me feel the joy of knowing your using me for your Fathers exhaltation. Chip – thank you – the detail you laid out is tremendous of what Christ does in us once inside us and we in Him and takes time for us to be broken — here is a poem I wrote a while back which speaks of all that you so wonderfully explained. Became filled with muck and mire, of sin which did abound. ………. A Word of God one day ~ was cast out as a seed ………. The Pot of clay became its home, and with gladness received. The seed was called Jesus Christ, which began a good work. The Pot of clay had no idea what power within would lurk. Feeling good with a purpose, for such a plant of paradise. On display for admiration, or judgement of all eyes. No matter the circumstance, to water or neglect. It had a life of its own, one might not expect. The Pot soon found that Christ took over. The roots were bound and tight inside. The plant so tall now reached the sky. A fight was happening deep within. The Pot could not hold the Glory in. Out of the belly flowed rivers of living water. Evidence of the spirit was the fruit that spilled over. This earthen vessel could not hold such a treasure. Christ’s spirit was given to this Pot without measure. The Pot must be broken …… to be the temple of God. The root of Jesse grew ~ God’s Glory held, could not. Thanks Chip and Karla for sharing us His voice.